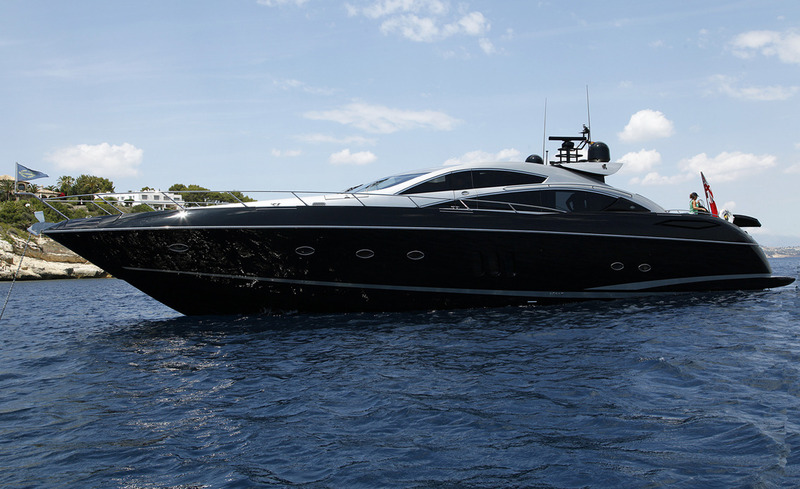 Luxury motor yacht HOOLIGAN was launched in 2007 by the well-renowned Sunseeker shipyard. 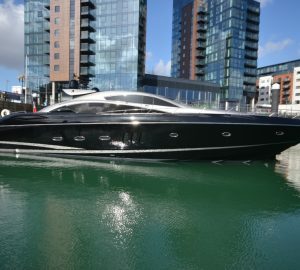 Measuring 25m (82ft), the Predator Sport model yacht boasts a sleek black hull and silver cabin top, she offers accommodation in 4 cabins, for up to 8 guests. 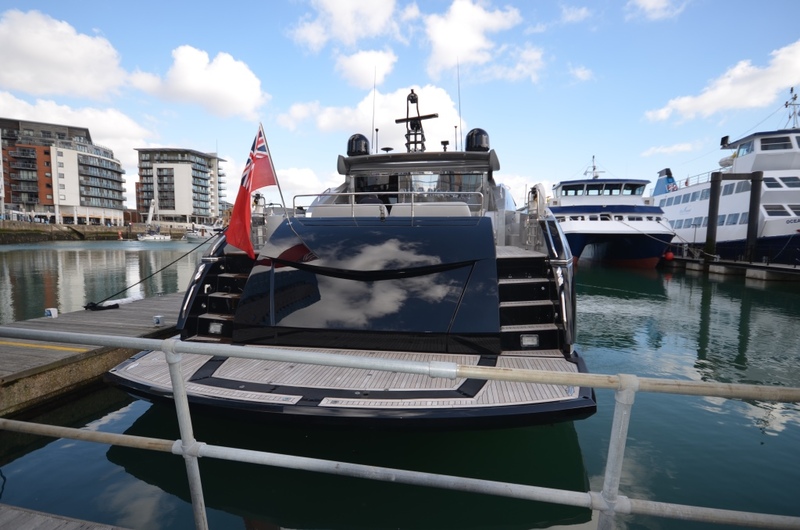 M/Y HOOLIGAN is also known as ‘Hooligan of Cowes’. 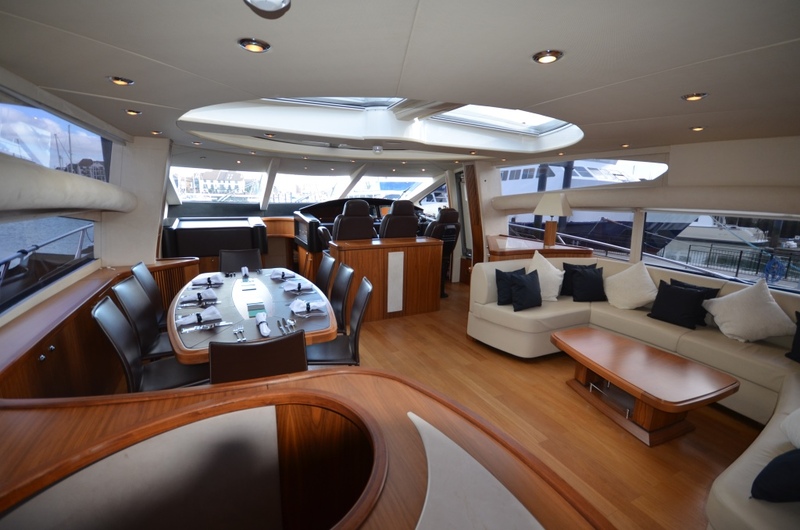 The crewed charter yacht has an open style interior, with elongated side windows and direct access to the spacious aft deck. 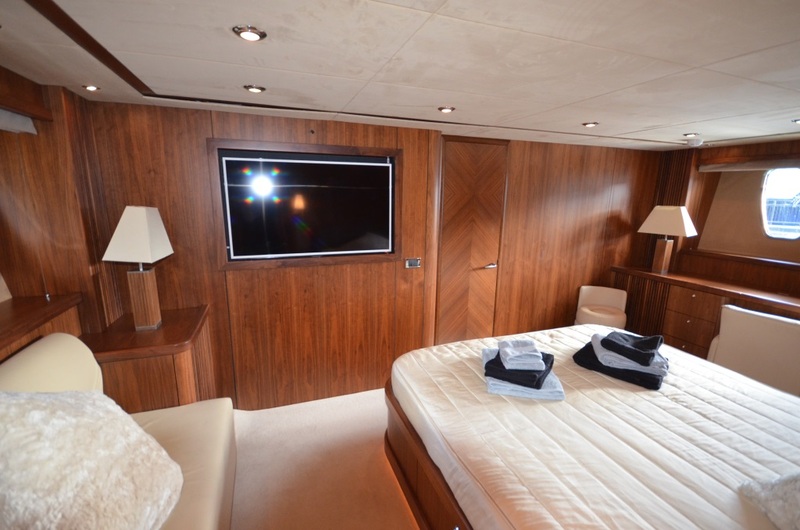 The salon features a contemporary décor of neutral soft furnishings, warm wood floors and light cream panels. 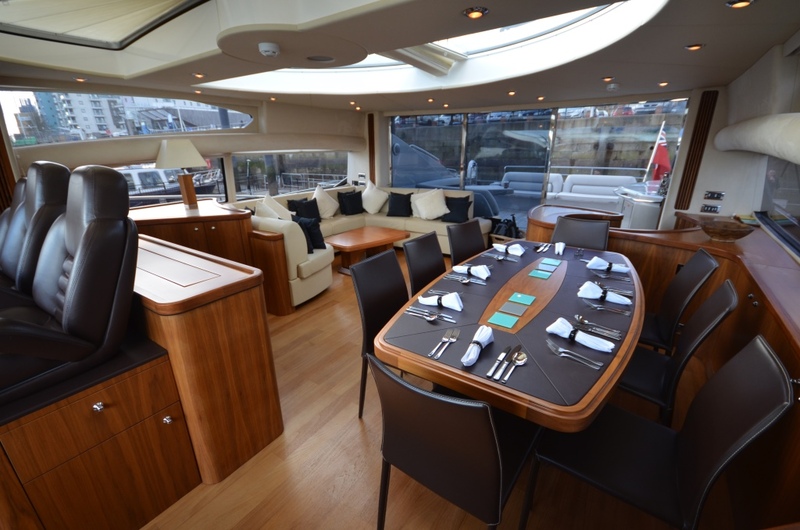 On the starboard side is a U shaped sofa and coffee table, while to port is the formal dining table. 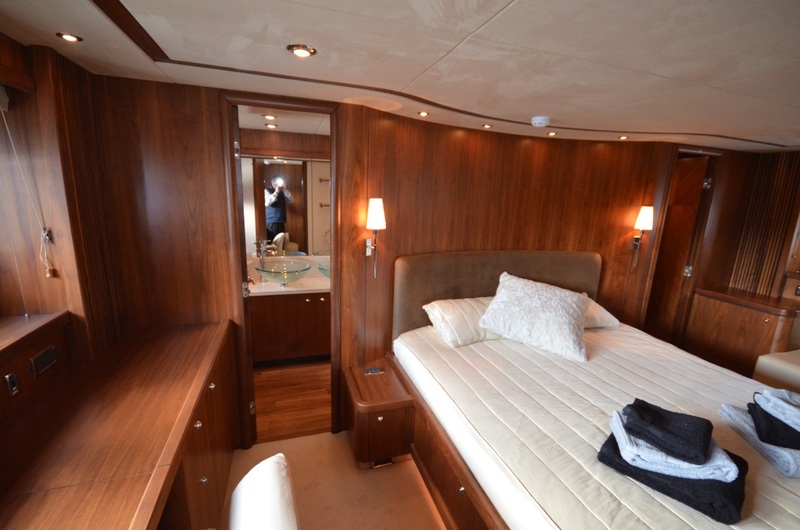 Guest accommodation is below decks in 4 en-suite cabins. 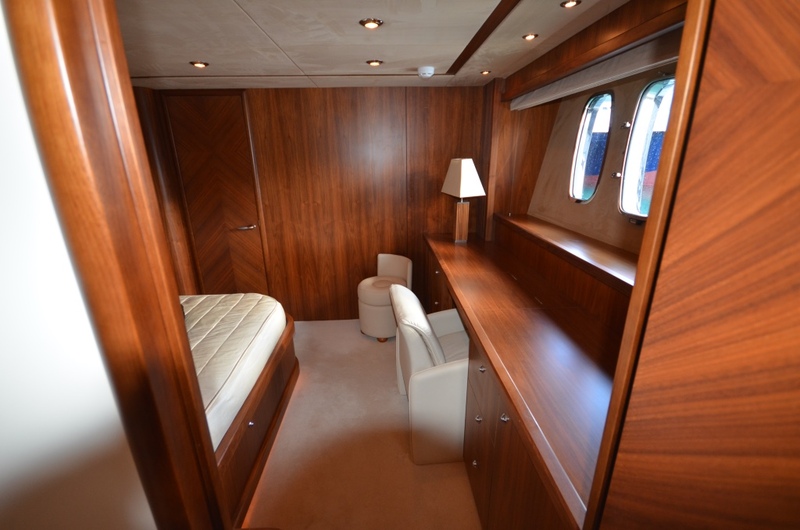 M/Y HOOLIGAN has plenty of exterior living to socialize and relax. 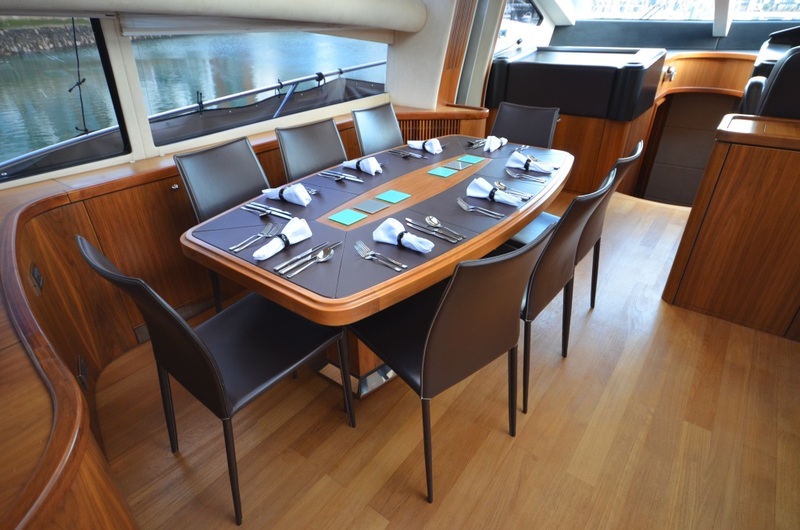 The aft deck is adjacent to the salon and flows seamlessly between the two, offering an alfresco dining option and ample seating. 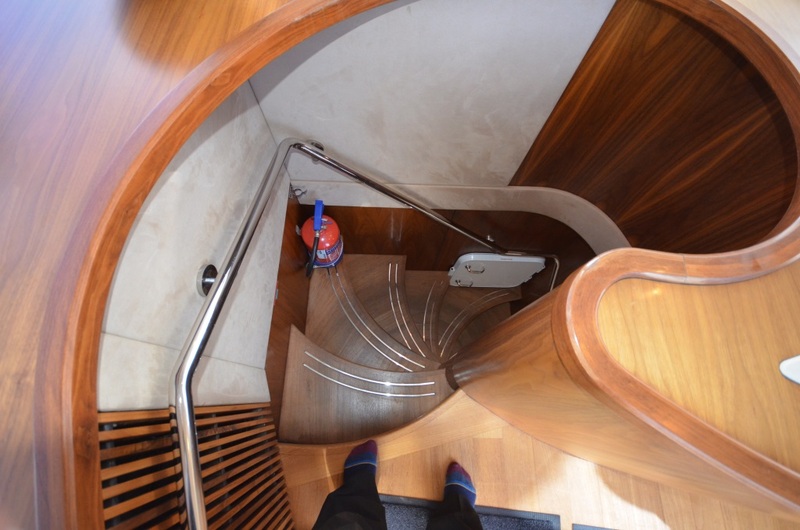 Dual stern steps lead to the extended swim platform, where guests may effortlessly enjoy the azure waters. 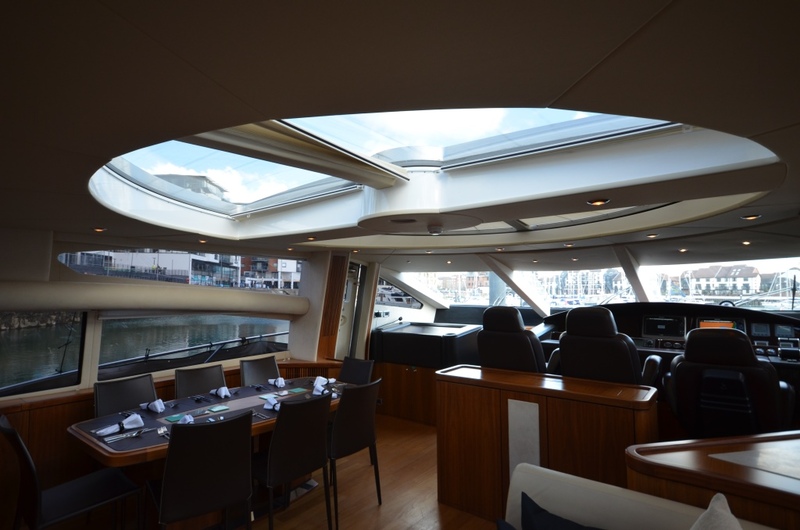 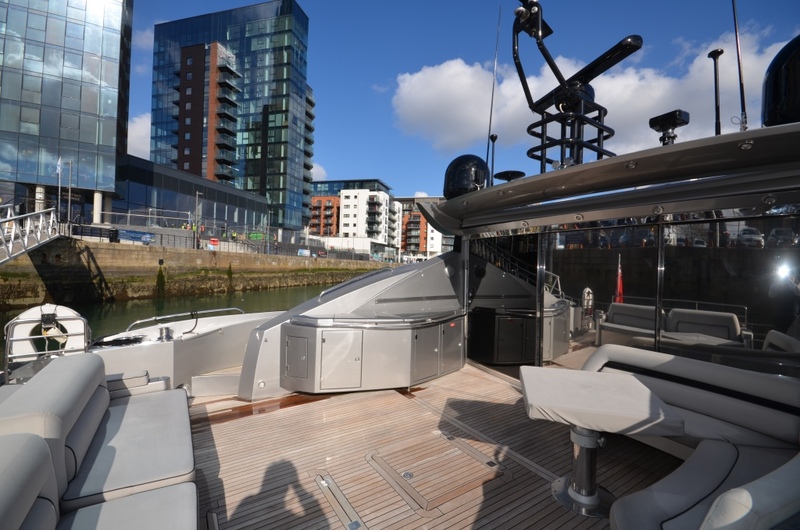 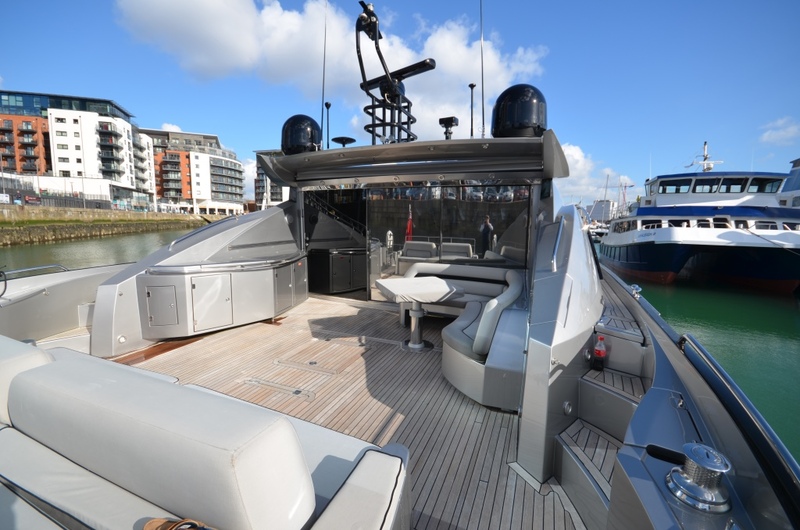 For the sun worshipers, the foredeck is ideal and boasts a large sunpad, easily reached by 360° wrap around decks. 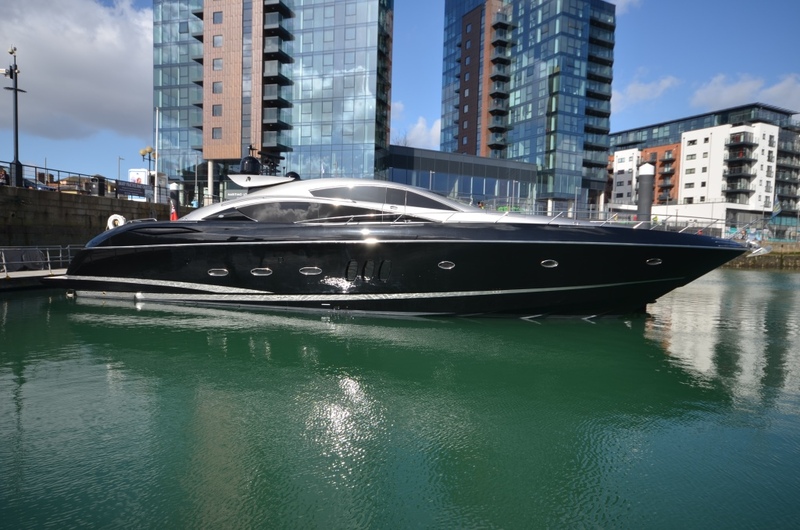 Powered by 2 x MTU 1800hp engines, the Sunseeker Predator 82 HOOLIGAN is capable of cruising at 28 knots and boasts impressive top speeds of 36 knots. 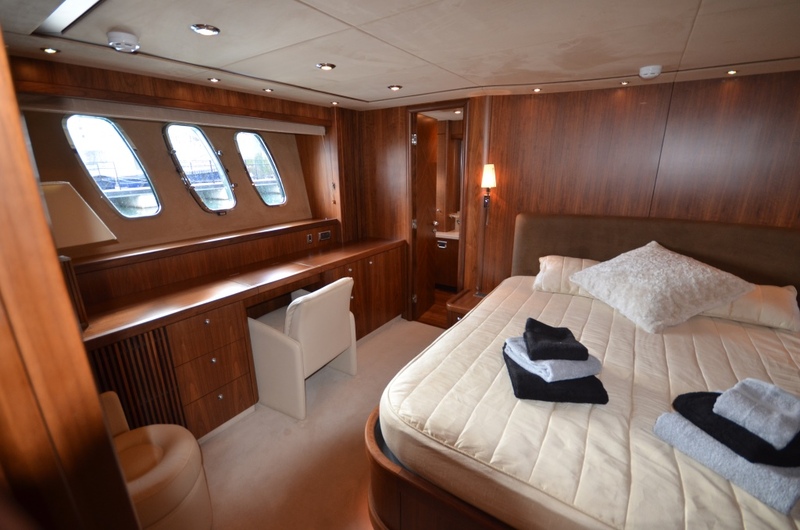 Luxury charter yacht HOOLIGAN offers accommodation in 4 en-suite cabins, for up to 8 guests. 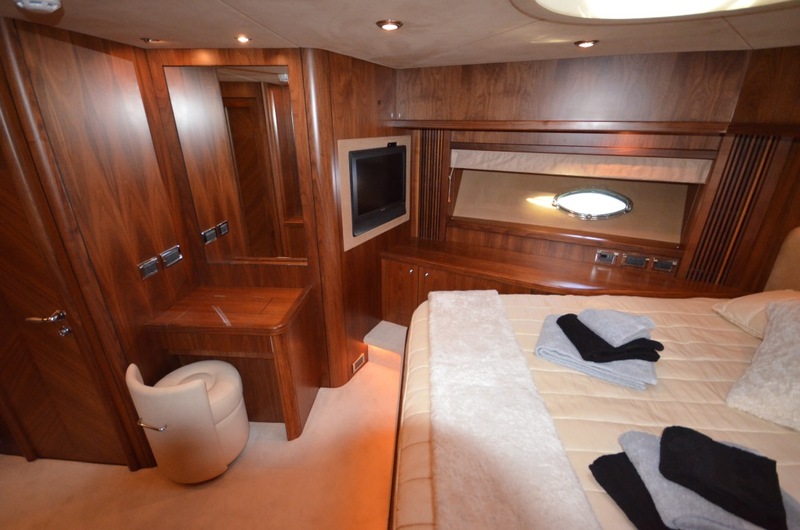 The master cabin features a center lined king size bed, seating area, vanity and is full beam of the yacht amidships. 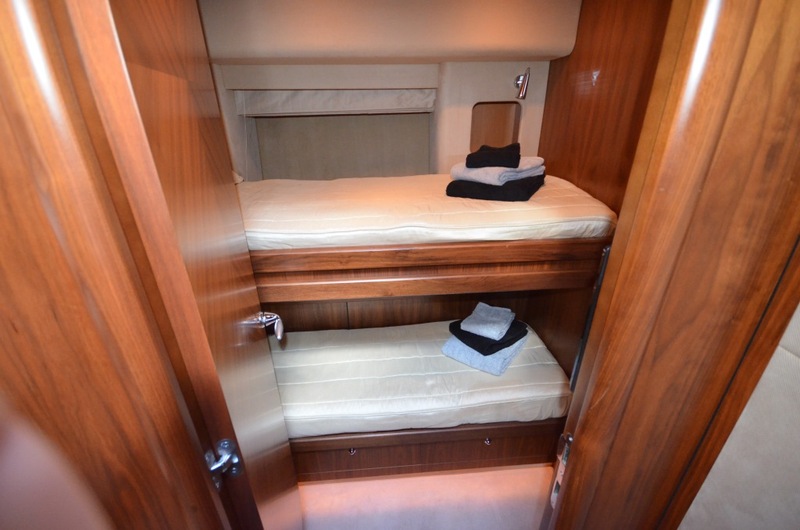 The VIP cabin is forward and full beam of the yacht, with a center lined queen size bed. 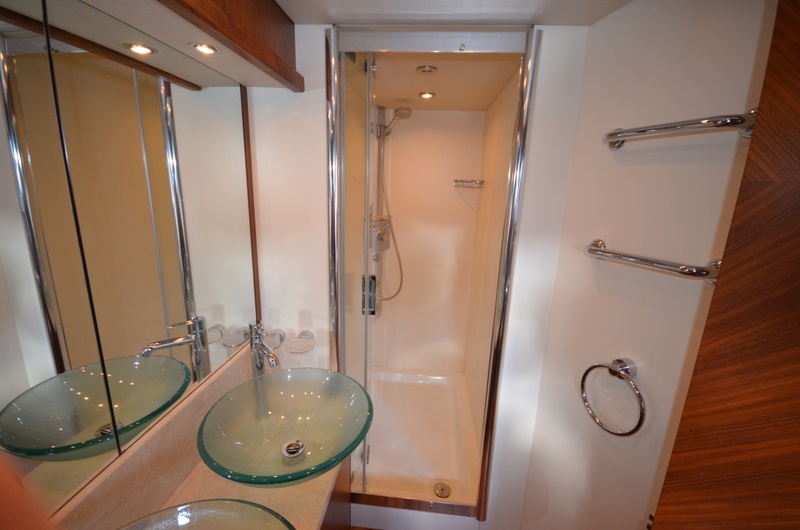 A guest cabin offers a double bed, while a further guest cabins has upper and lower single beds. 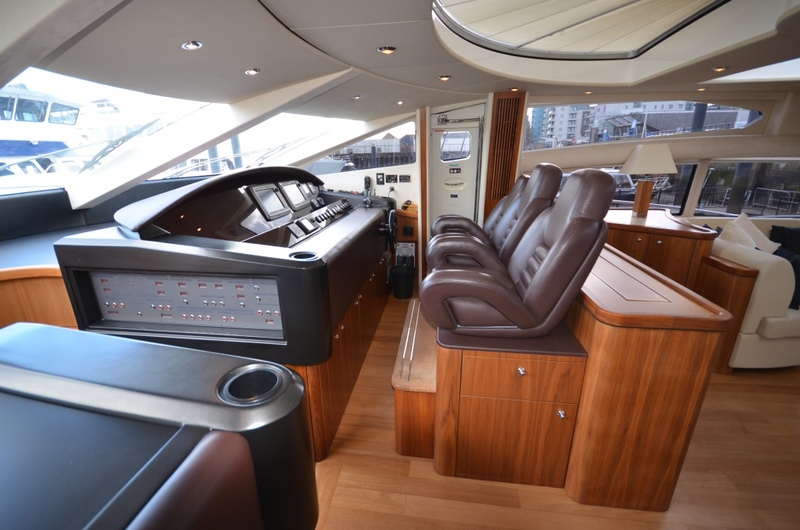 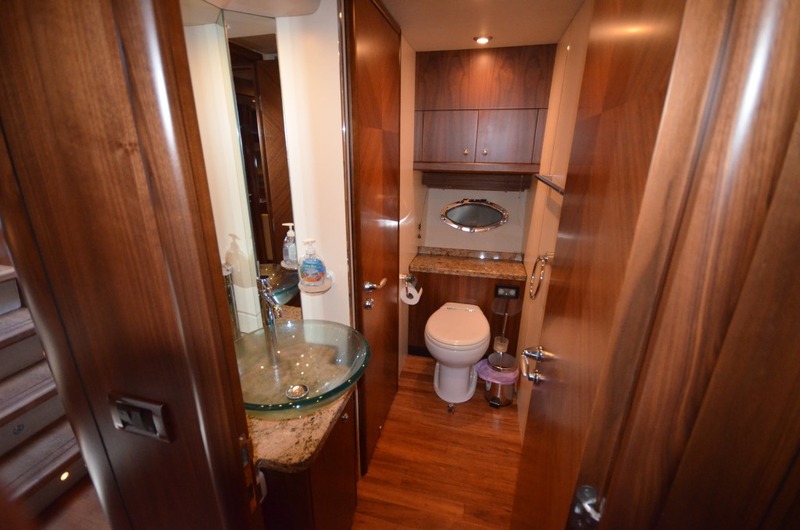 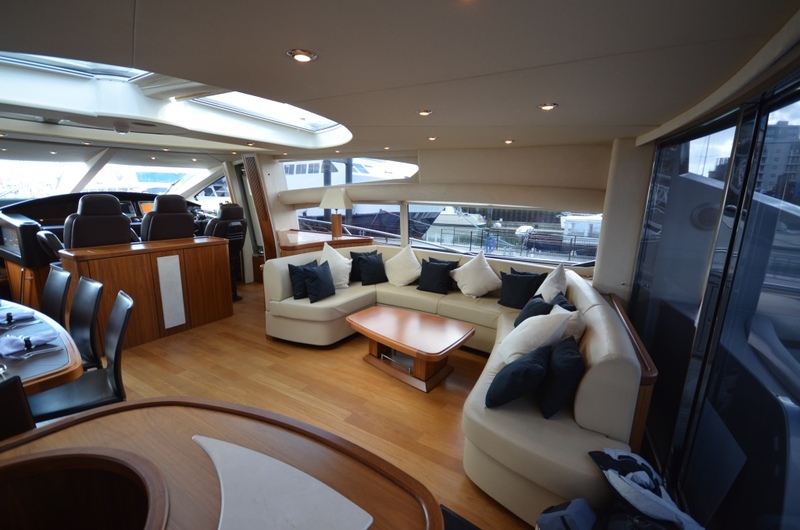 M/Y HOOLIGAN is fully air conditioned throughout her interiors. 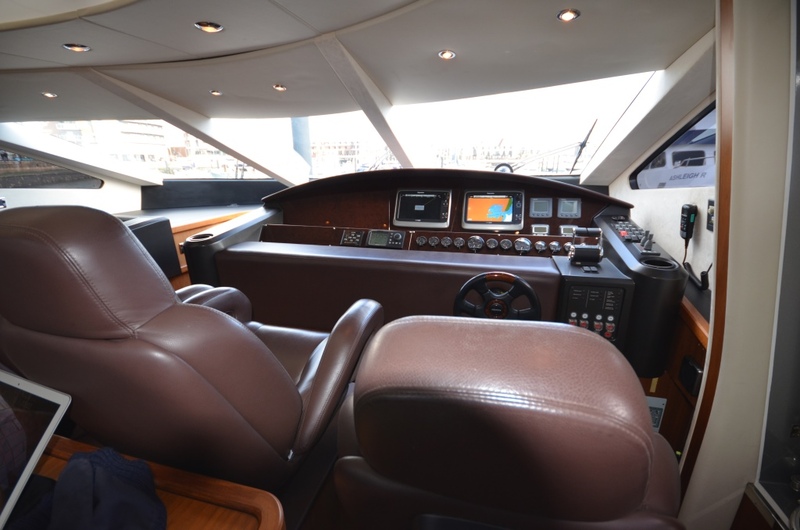 Tenders & Toys: ~Avon Jet 320 Tender with 80 hp ~Sea Doo Spark 90 HP for 3 pax ~Seabob F5 S ~1 x Stand up paddle boards ~Fishing gear ~Snorkeling gear ~2 x Donuts ~Wakeboard ~Water Skis Audio Visual Equipment and Deck Facilities: Full sound and TV equipment throughout the yacht.